Among the many tales of Guardians, including the 2014 hit Guardians of the Galaxy, there lies a forgotten treasure. 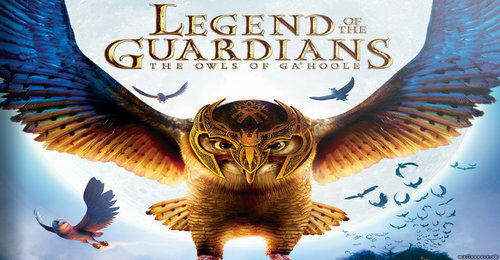 The Legend of the Guardians a tale not unlike the massive tale of Redwall told with Owls in a CGI motion picture, brought to life by the studio that created Happy Feet, likely looking to strike the market once more with another tale of talking birds. Sadly, epic battling owls of Australia fell short of the happy dancing penguins. The Owls of Ga’hoole is a book adaptation of a middle-school level novel. With almost all adaptations, there are changes, such as the continental shift from North America to Australia perhaps to incorporate a more mystical feel. This is properly utilized to create the vastness of the great pond or ocean, as well as the barrenness of the villain’s camp. The change gives the audience a chance to delve further into the story. The world is shown beautifully, with grand sweeping shots done as if following the owls’ movements in flight. The swooping camera draws the viewer closer to the action as the owls clash talon to talon. The story revolves around the timeless tale of sibling rivalry, one brother believing fully in the grand stories told by their father, with the other wanting to grow up much too fast. This struggle results in a literal push out of their nesting tree and into the unknown world below, saved from one danger only to be taken to a far worse fate. Soren, the dreamer, and his stoic brother Kludd find themselves at the mercy of the “Pure Ones,” a radical group of owls lead by the infamous Metal Beak and his cold-as-ice mate Nyra. The goal of the Pure Ones is to be the rulers of the entire owl world, as they feel it is their right as Titanios – something Soren recognizes as wrong right away, whereas Kludd feels appreciated for the first time and readily abandons his brother. Finding solace within his new friend, an elf owlet named Gilfy, Soren takes on a journey to find the Guardians of his Da’s tales. They face the terror of being moon blinked, in which they sleep before the full moon. Owlets awaken much like an essence drained podling of Henson’s The Dark Crystal. Keeping low, Soren and Gilfy find a friend in an old owl named Grimble, who was willing to help them get away by teaching them to fly. This is soon interrupted by Kludd and Nyra. Kludd shows his allegiance to the Pure ones by attacking Grimble as he held Nyra down. Soran and Gilfy flee amidst this mayhem, hoping to find the Guardians and stop the conflict once and for all. Along their journey they run into Soren’s nursemaid, the snake Mrs. Plivier, and two more owls -the bard, Twilight, and the tracker, Digger. The three newcomers join Soren and Gilfy’s quest to find the Guardians. Upon arriving at the Guardian’s tree, they find all the tales they’ve heard to be true. Every owl has their place, their ‘chore’, the great duty assigned to them that they excel at. Soren finds an unlikely friend in the sour old owl Ezylryb, and eventually learns that Ezylryb is the grand hero owl of his Da’s tales. However, he also learns that the stories glorified those battles, and that war is never pretty and comes at a great cost, giving Soren a moment to reflect on his choice to become a fighter. Back in the Pure Ones’ camp, Kludd is learning to hone his skills as a fighter for his cause. His willingness and confidence that they believe in him leads him to do terrible things, such as kidnapping his own little sister Eglantine. When she proves less cooperative than he’d like, he abandons her to moon blinking. This contrast to Soren looking to the golden light of the guardians defines the difference between the brothers well. Kludd, in his mind, feels his actions are proof that he’s better than Soren, something which leads to his ultimate demise. The final battle proves to be a spectacle of camera work and animation. The motions are strong and swift, creating an almost fantastical feel. Though it is not without it’s humorous moments, such as Twilight singing his way through the hoards of bat minions and swinging his lute as a weapon. Soren takes on the task of defeating Metal Beak, only to fall prey to his brother, who has been driven crazy by his desire for superiority. The ending leaves on a sadly-unfulfilled, sequel-baiting cliffhanger of Kludd finding Metal Beak’s mask. Though a fantastic watch, its source material does hinder the movie at times. Its dialogue can come off slightly stinted and strange, though barely noticeable. Certain aspects of the book that were glazed over are fleshed out more, giving the characters more development. Overall, the movie is an exceptional buy for $5 in the ever-messy Wal-Mart Bin.